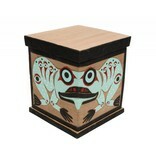 Home / 12" by 10" Raven and Sun / Frog Bent Box by William Good (Nanaimo). 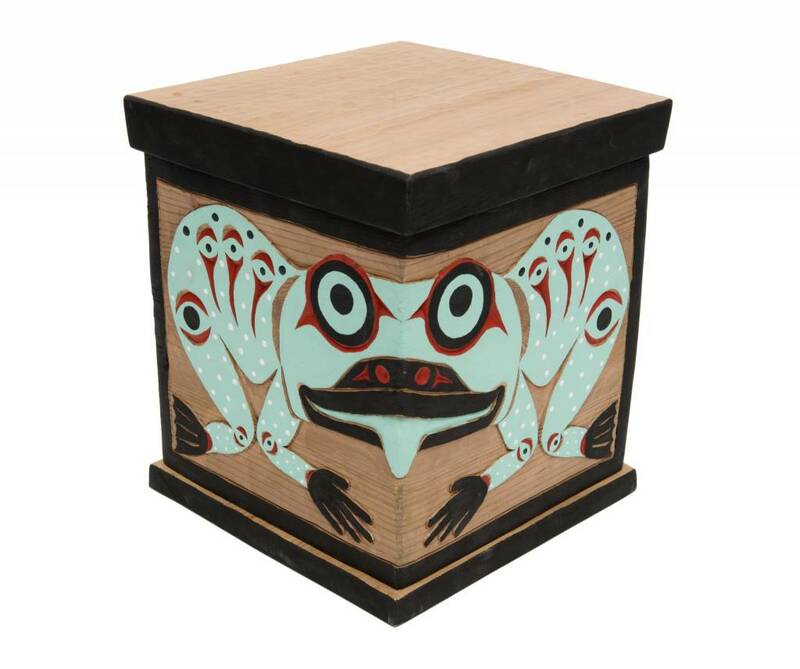 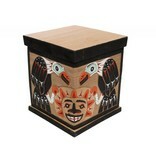 Steam bent box constructed, carved and painted with Traditional Coast Salish design by Willie Good (Nanaimo, Coast Salish). 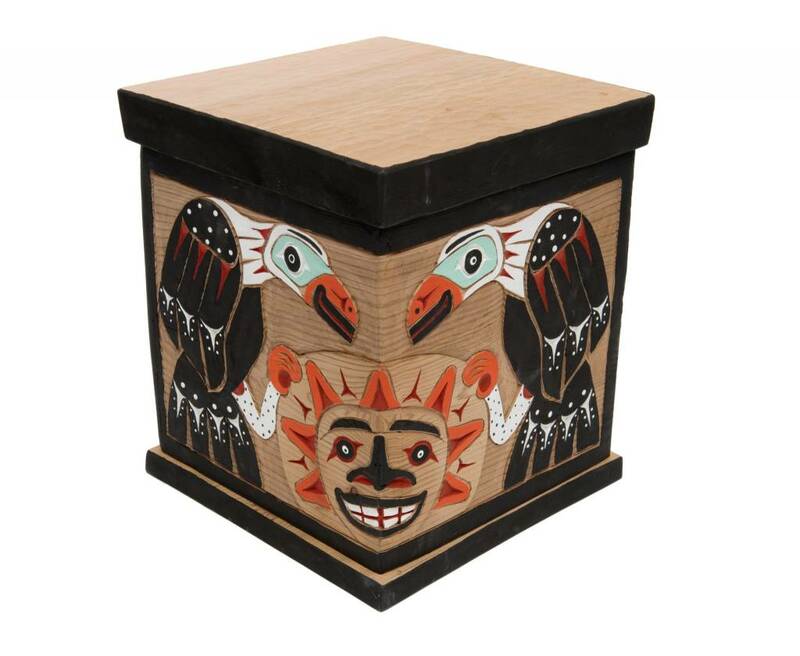 Click to read about William Good.